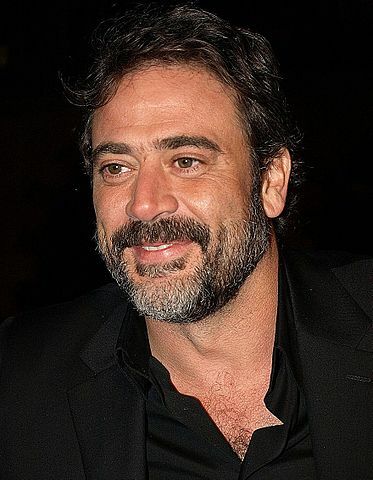 Jeffrey Dean Morgan was born in Seattle, Washington, United States, on April 22, 1966, is an American actor. Young Jeffrey Dean Morgan began his acting career on stage in local theater productions of musical plays Grease and West Side Story. He made his big screen debut in thriller crime film Uncaged (1991) in role as Sharkey. Jeffrey's breakthrough performance came as Denny Duquette in the medical drama series Grey's Anatomy (2006–2009). He portrayed Isaac "Ike" Evans in drama television series Magic City (2012–2013). He played John Winchester on fantasy horror series Supernatural (2005–2007). He's playing Negan on the horror drama series The Walking Dead, since 2016. He played Jason Crouse in political drama television series The Good Wife (2015–2016). Fan of American football team, The Seattle Seahawks. He owned a graphic art company in Seattle. Good friends with agent Richard Lewis. Was in a relationship with actresses Sherrie Rose (2004-2005), Sarah Lancaster (2005-2006) and Mary-Louise Parker (2007-2008). He began a relationship with actress Hilarie Burton in 2009, they have one son and one daughter. Lives in Rhinebeck, New York, U.S. I think you judge your career by the scripts that are being sent your way. Acting is a hard profession. More than anything, it takes fortitude. The only reason I went to college was to play basketball. I injured my knee and couldn't play. I just didn't want to get bored playing a character, and that's kind of the benefit of doing films; you've lived with a character for four or five months and that's it, and you walk away from that character and you feel like you told a story. I'm not trying to be an action star, and I'm not trying to be a romantic-comedy guy. I've got a stack of the 'Walking Dead' comic books next to my bed here.